There is something nostalgic about historic gas stations. TV commercials sensationalized the differences between Amoco and Philips 66. Service with a smile was part of the culture, along with ‘Check your tires?’, from the well uniformed gas attendant. This is long before ‘Do you want fries with that?’, was thought of. 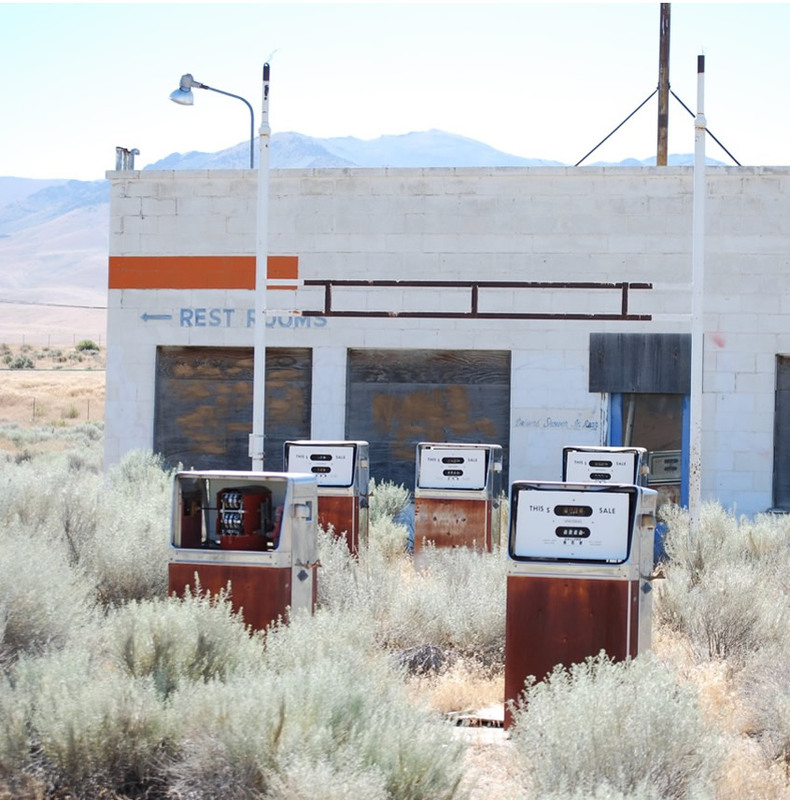 Abandoned gas station in Winnemucca, Nevada. Desert plants returning nature. Some bowsers were still set at 29 and 9 tenths per gallon. Considering desert plants take a long time to grow, this gas station must have closed some time in the 1970s. The USA is the world’s leader in automobile travel. Roads and highways made travel easy between cities, and car manufacturers made it economical for the even the lower income families to afford a car to commute in the cities. Gas stations began with the popularity of the family car. In the 1920s, everyone needed gasoline and cars needed regular servicing creating the need for a gas station on every corner. 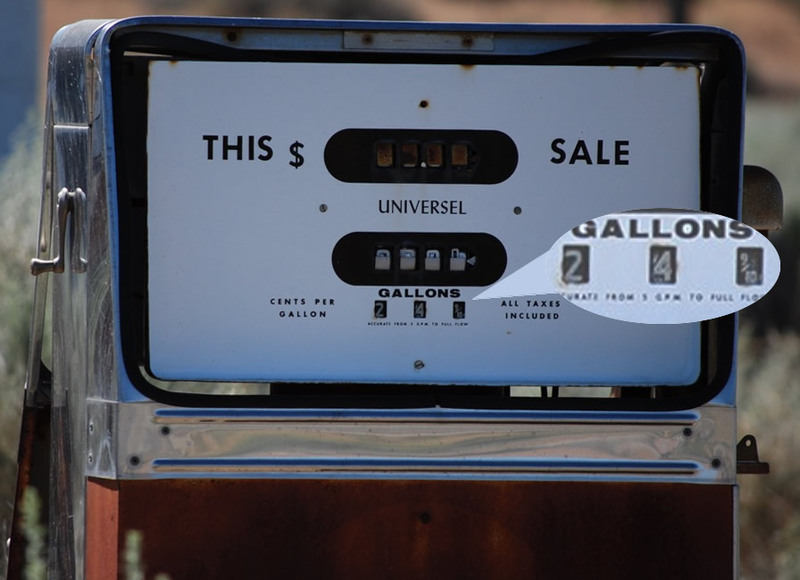 Thankfully, many cities are finding value in early architecture and collectors are captivated by gas and oil signage, containers, and fuel and oil dispensers. Through my travels, I’ve been collecting photos of classic gas stations, some still operate, others stand alone in a desert field. I will continue to share these photos and record them on these pages, because at they won’t all last forever. Some are on their last foundations, others will be demolished, and hopefully many will continue to be repurposed as fast food stores or collectors’ shops. This bowser at this Winnemucca, Nevada, gas station was set at 24.9 cents per gallon, suggesting this station may have closed during the 1970s with a highway relocation.